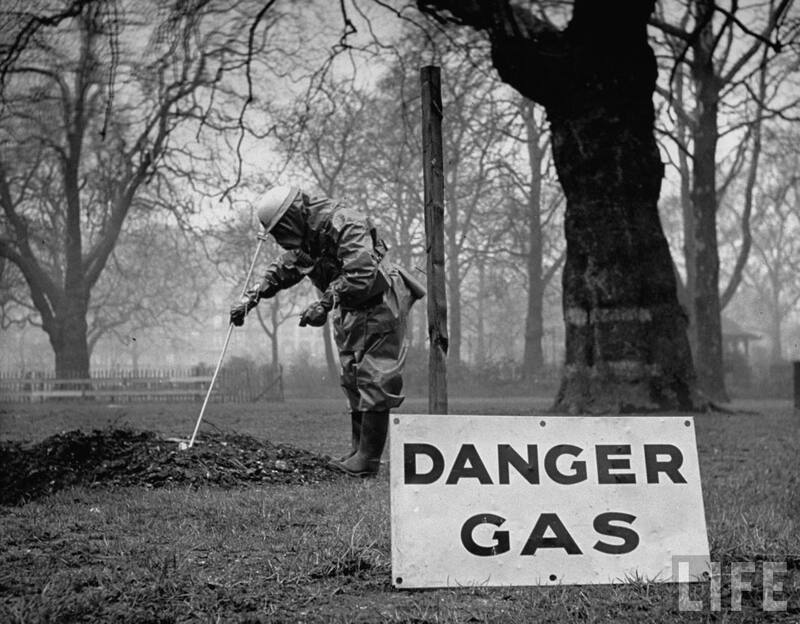 Gas Identification officer testing with poke stick for color reaction on detector paper in London park bomb crater during possible attack preparations during WWII. London, 1941. 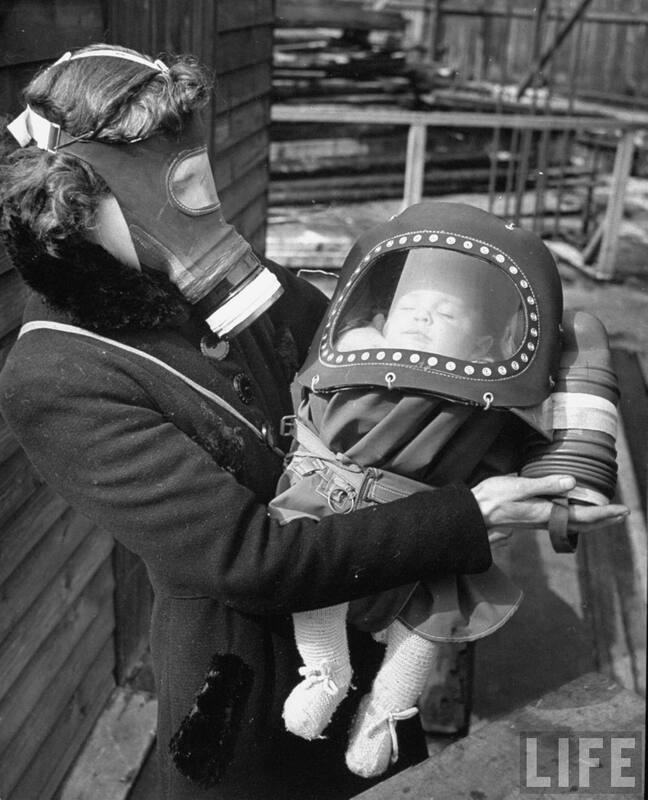 Mother and baby wearing gas masks during gas preparations test. London, 1941. 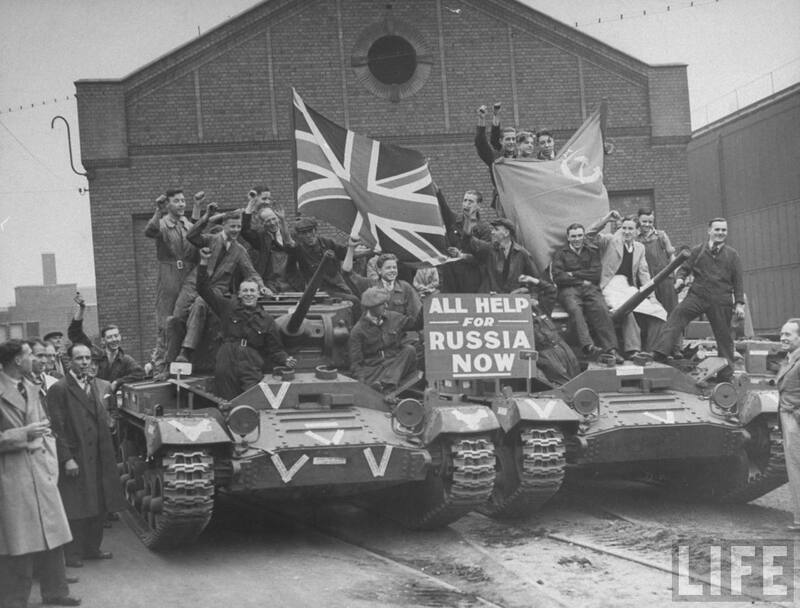 "Tanks for Russia" week. 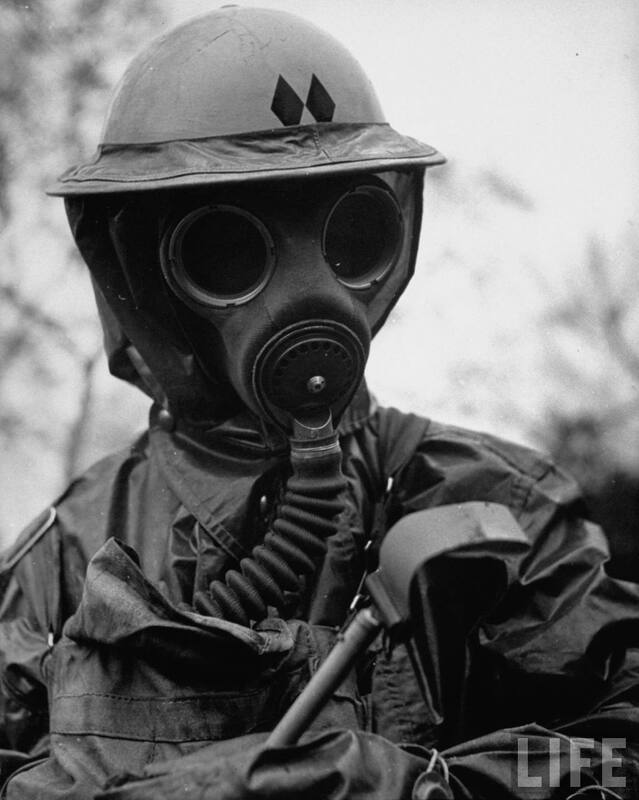 London, 1942. 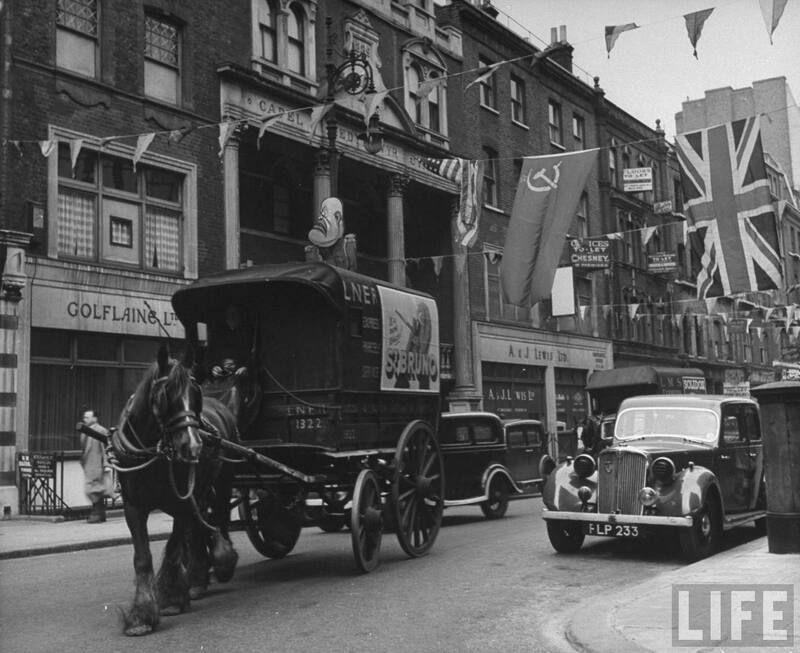 Street decorated with Soviet and Union Jack flags, London, 1942. 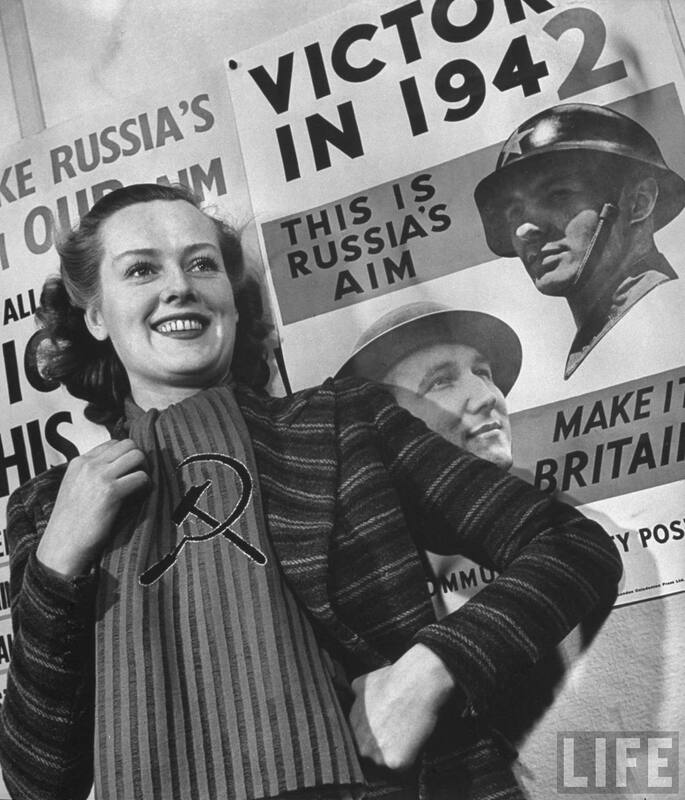 Woman modelling Russian inspired clothing. London, 1942. 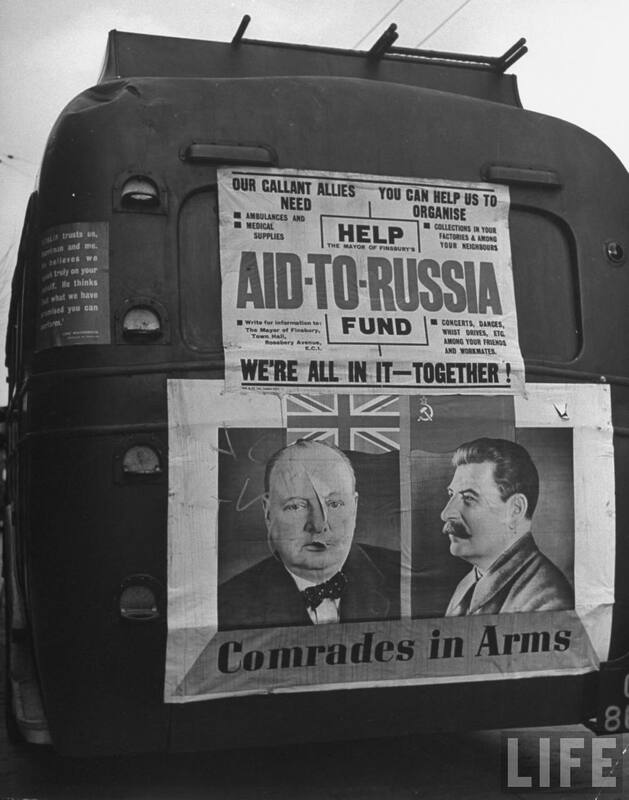 Posters on the back of a bus acting as a Mobile Ambulance Unit advertising Finsbury's current "Aid to Russia" campaign. London, 1942. 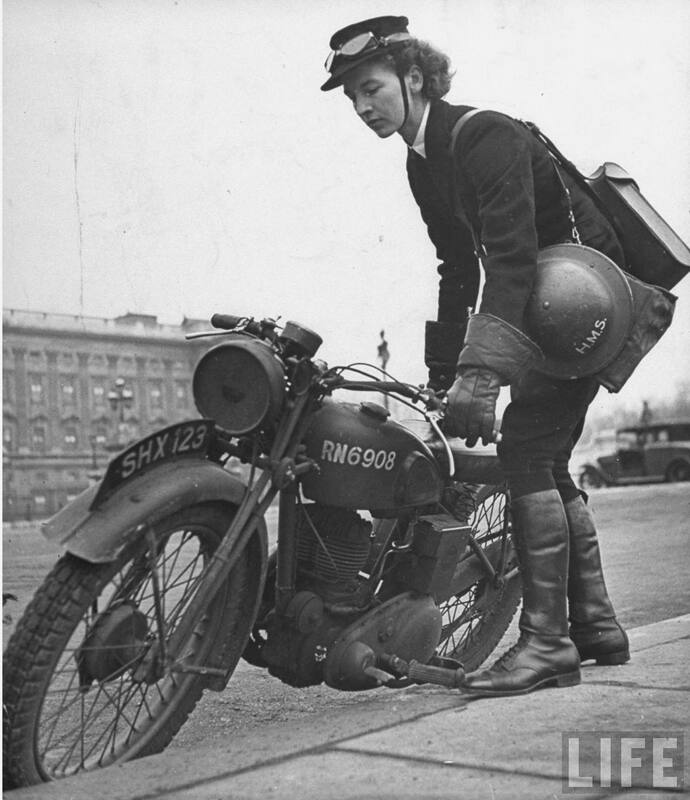 Woman dispatch rider standing beside her motorcycle. 1941.